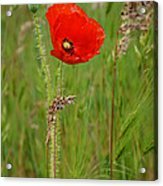 Queen duvet cover (88" x 88") featuring the image "Wild Poppy" by Nikolyn McDonald. Our soft microfiber duvet covers are hand sewn and include a hidden zipper for easy washing and assembly. Your selected image is printed on the top surface with a soft white surface underneath. All duvet covers are machine washable with cold water and a mild detergent. 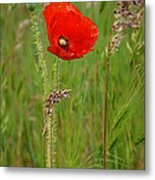 The red corn poppy (Papaver rhoeas) is a simple but pretty wildflower, so common in some places that it is considered a weed. Poppies have long been a symbol of peace, sleep, and death, and in Greek and Roman myths they were offered to the dead. 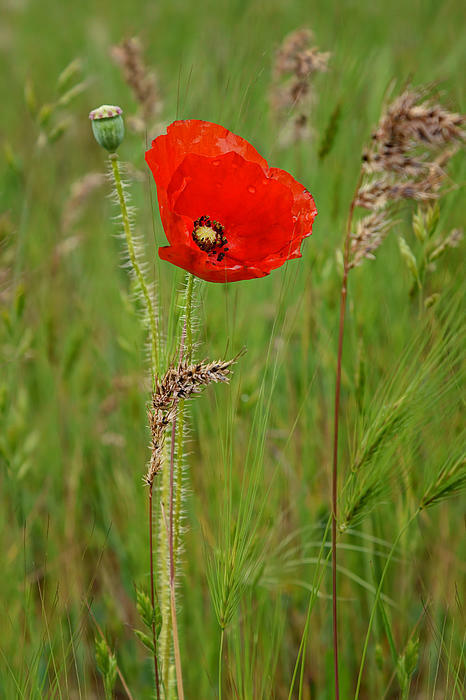 In the Western world, the red poppy is well known as a symbol for wartime remembrance. 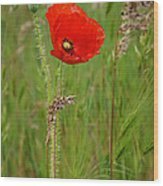 The poem "In Flanders Fields" by John McCrae commemorates those who died in World War I and begins and ends with a mention of poppies. Plastic or paper poppies are worn on Remembrance or Veterans Day in many countries to commemorate those who died in war.